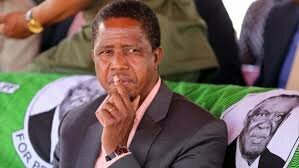 PRESIDENT Edgar Lungu has told the African Development Bank (AfDB) Group annual meeting that food crisis is looming in the region as most countries are likely to experience below required levels of food production. The Head of State also told the AfDB high profiled meeting that food security in the region was still expected to remain precarious even if rainfall normalises due to variability in crop reserves in most of the countries. Speaking when he officially opened the African Development Bank Group annual meetings in Lusaka yesterday, President Lungu said with the growing industrialisation, energy challenges were expected to manifest. “What is consoling is that we have a good plan from our bank (AfDB) on how to respond to the crisis,” he said. President Lungu congratulated AfDB president Dr Akinwumi Adesina and his team on the launch of a new deal on energy which was built on five inter-related and mutually re-enforcing principles. He named the principles as raising aspirations to solve Africa’s energy challenges, establishing a transformative partnership on energy for Africa. The Head of State added that mobilising domestic and international capital for innovative financing in Africa’s energy sector, supporting African governments in strengthening energy policy, regulations and sector governance and increasing the African development bank’s investment in energy and climate financing. “Clearly, these objectives will enable us to take stock of the current state of Africa’s energy and critically examine the energy policies being pursued by our countries,” he said. President Lungu appealed to all participants to use their vast knowledge and experience to provide greater insights of the important issues to facilitate effective implementation of African countries’ developmental agenda. “Our expectations are that these meetings will generate resolutions that will help Africa shape its post-2016 development agenda and address the numerous ramifications of energy deficits and climate change confronting the continent. “I am confident that our expectations will be met given an array of expertise and experience from your Excellencies, Heads of State and Government and high profile finance and development experts participating,” President Lungu said. 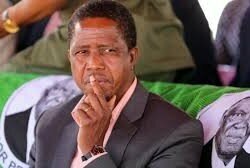 President Lungu said energy shortages and climate variability and change had become a major threat to sustainable development in Africa. The official opening was attended by Zambia’s Finance Minister and chairperson of the AfDB boards of Governors Alexander Chikwanda, President of the Republic of Chad and Chairperson of the African Union Mr Idriss Deby Itno and acting secretary general of the African Development Bank Mr Ossey-Olivier Litumba Pinzi. Others who attended the official opening included Patriotic Front (PF) secretary general Mr Davis Chama, Vice President Inonge Wina, fourth republican president Mr Rupiah Banda and the first Republican president Dr Kenneth David Kaunda.